Kitchen Cheat Sheet: Do you HAVE to pre-heat the oven? Do you HAVE to pre-heat the oven? One of the reasons you are supposed to preheat the oven is because recipes are written based on cooking temperature. 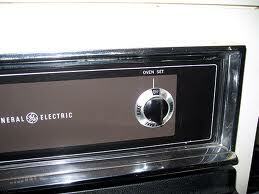 If you're oven is not properly preheated, your cooking times will be off, the the recipe will be a failure. If you check on your food every once in a while, you can save time by not preheating, and your food will not be ruined. When baking, your oven should always be preheated. This is mainly because of the rising process in most baked items. If your oven is not to the proper temperature when baking , you may come out with ruined crusts, fallen cakes and unevenly cooked biscuits. If I am cooking something from frozen, I do not preheat the oven. This cuts down on cooking time, since the food will start to thaw while the oven is heating up. Another reason I don't preheat my oven? I often forget :0) I also do not wait for my water to boil when I'm making pasta. Do you always preheat your oven?